For us, it’s not just about the marine life and sharks, we also care about the environment. We want to create awareness for the use of single-use-plastic and reduce the amount that’s being used on the Gili Islands. Our dream was to create a project that would focus on maintaining the beauty of our home, & implement sustainable solutions for the development of Gili Air. We wanted to give something back to the island that gave us so much and create a plastic free paradise for the generations to come. We created the campaign Plastic Free Paradise to help the Gili Islands to become plastic free! 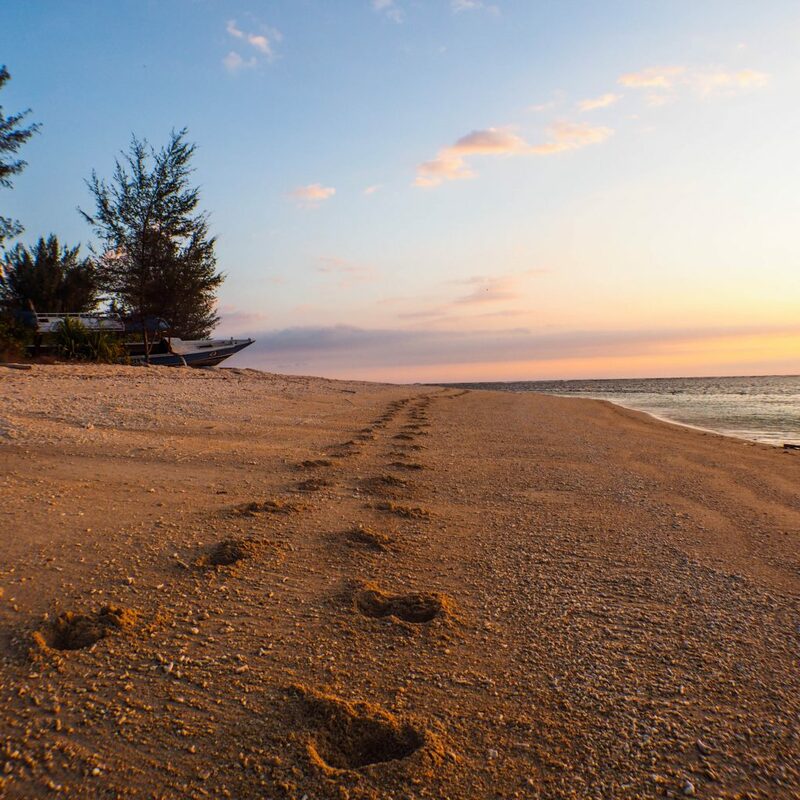 Our aim is to educate locals as well as tourist and provide information about how you can leave nothing but footprints on beautiful Gili Air. Our #PlasticFreeParadise campaign is a wholehearted project that we keep building up with new ideas. So far we offer a plastic free paradise training free of charge to all businesses on Gili Air, we started our refill your bottle project, we go to the local primary school every Saturday to teach conservation classes, we organize beach clean ups and underwater clean ups on a regular basis and we adopted the dive site Meno Slope. Do you have a brilliant idea or would you like to get involved, send us a message at sharks@gilisharkconservation.com. Traveling sometimes does not make it easy to be environmentally friendly – especially when the places you are traveling to are remote islands! Read here some easy ways that you can help the earth while traveling to the Gili Islands, but these tips apply for traveling anywhere!